While working during this spring’s IWMF Adelante fellowship, I had the opportunity to meet journalist Inés García Ramos. For the last seven years, Garcia Ramos has covered crime, immigration, human rights and government for the publication ZETA. She works in both Tijuana and San Diego, and gets a thrill uncovering information that no one else has reported on in the region. 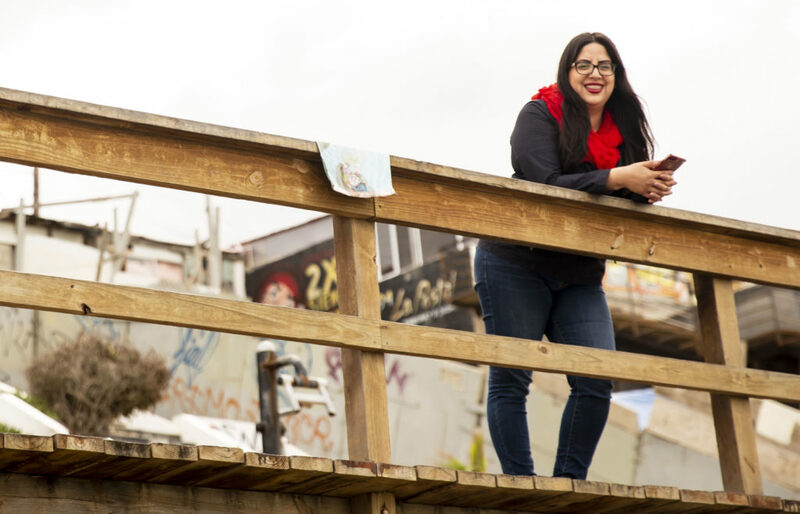 Inés García Ramos works in Tijuana March 2019. This week, she published a story on the increase of municipal police attacks in Tijuana. Last year, she wrote about how dozens of children and teenagers were being hurt and killed by gun violence. Garcia Ramos wanted not only to report on the individual cases, but to foster a bigger public discussion. Garcia Ramos says part of her job is to “find facts that are real” and uncover how information can be misused when it comes from positions of power. “In a country like Mexico where probably you are never going to see a corrupt official or politician sentenced or prosecuted, there’s a way to try to do justice through journalism,” she says. Garcia Ramos believes some of the biggest challenges journalists face in Mexico is security along with low wages. You can follow Garcia Ramos’ stories at ZETA or on Twitter.